I've done a really good job of cooking magazine recipes this past year. I'm slowly but surely working my way through my file folders filled with pages ripped from magazines. Of course, I'm also always adding to it, so I'll never completely finish that product...but that's the fun in cooking right? On the other hand, I've done a poor job of cooking from my ever-expanding cookbook collection. Perhaps that'll be a good goal for 2014?! My mom recently attended an event where Dave Anderson of Famous Dave's BBQ spoke and she came home with his Barbecue Party Cookbook, signed for me and everything! Even though one might argue that BBQ season is ending for the year (or is there such a thing? 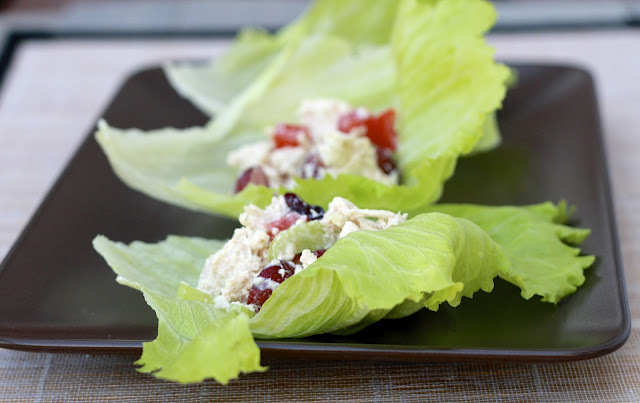 ), I was eager to crack open this book and quickly selected his Cranberry Chicken Lettuce Wraps. Although Dave's recipe calls for smoked chicken, I wasn't about to drag our smoker out on a weeknight so we opted for some baked and shredded chicken (to make it even easier, buy a rotisserie chicken!). I made a few changes to his recipe, but the overall concept was the same. 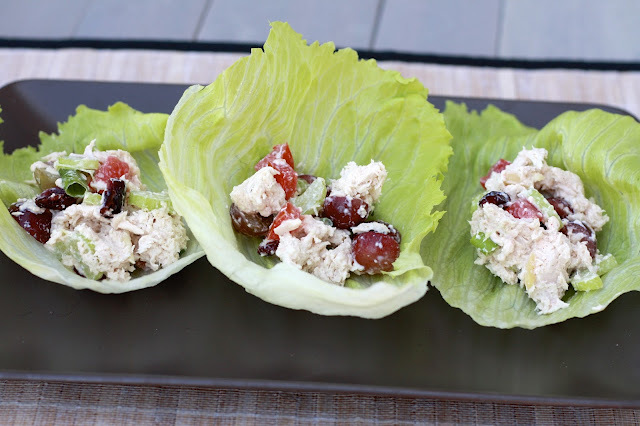 We loved the wraps for a light dinner, but they would be a fun party appetizer as well! 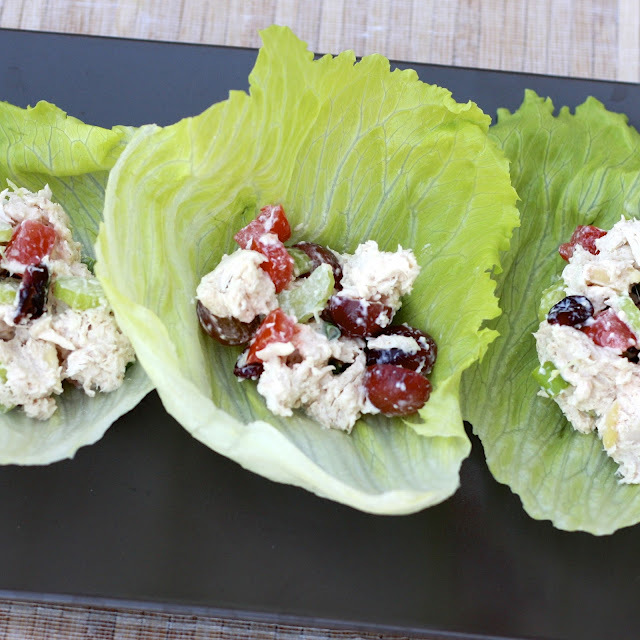 You could also serve the filling on bread or in a pita or with crackers. What's your favorite cookbook to cook from? 1. Mix together mayo, yogurt, paprika, seasoned salt, and black pepper in a medium bowl. Add the grapes, dried cranberries, celery, onion, and almonds, mixing to combine. 2. Gently stir in the chicken and the tomatoes. Carefully remove (and wash) lettuce leaves from heads of lettuce. Fill heads with scoops of chicken salad. Serve immediately.